​Tuesday Justin got up in front of over 50 children and adults and spoke about what it was like to have autism and how it has affected his ability to form friendships and his work with the Paws4Autism organization. For those of you that know him, this was HUGE!!!! Justin is a hero in my eyes. I want others to see him that way too. 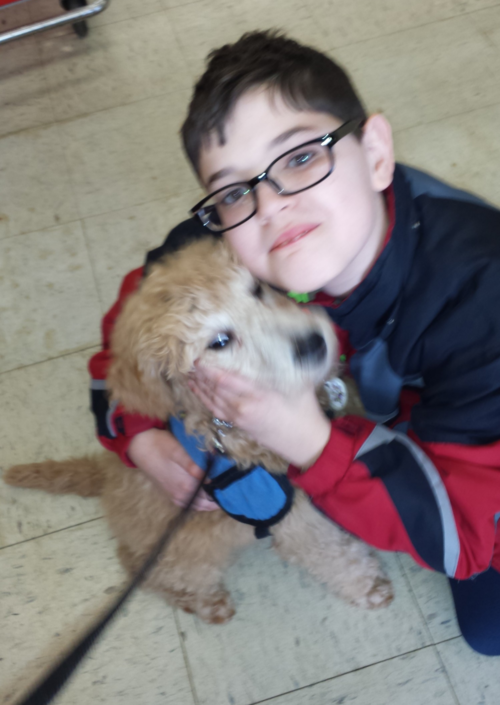 Many people have asked me what I think an autism service dog can do for Justin. Here is my answer to that: The service dog isn't going to cure his autism, but the dog will help in those areas where he has significant stress like around loud noises, or high ceilings, large crowds of people. The dog will be his anchor to help him stay grounded and not have a meltdown. The dog will also help with his social skills and being able to talk to other people. 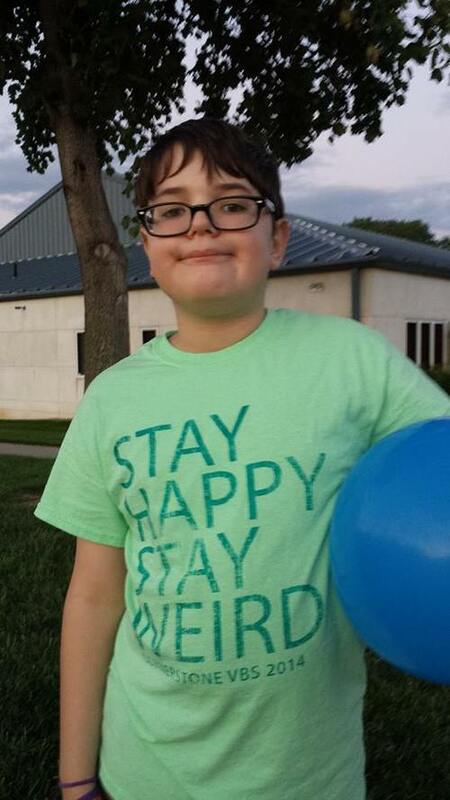 His goal this school year wasn't to make all A's, his goal was to make a new friend. I know the dog isn't a cure, but is the next step in Justin being confident that he can operate independent of me. Really, isn't that what all parents want for their children, for them to be successful? I would just like to blow the lid off this. I want him to know how many people care. Thanks for loving my little guy. Your generosity is much appreciated!! 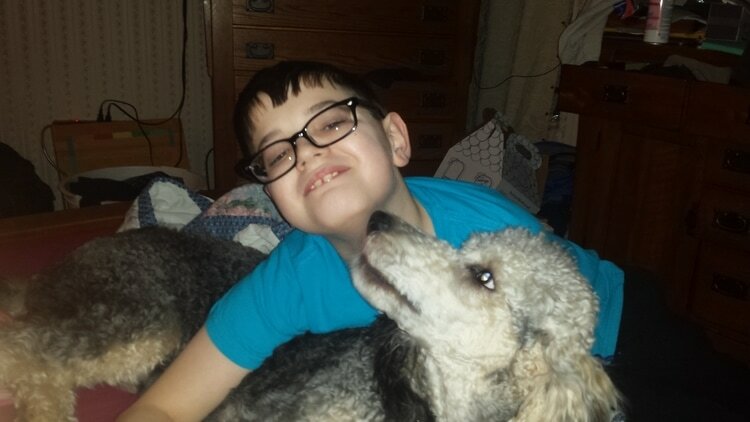 The past two weekends with the dogs have been AWESOME for Justin! Whenever he would start getting upset, we would bring the puppy to him and within 2 to 4 minutes he would be laughing and giggling. His meltdown would subside and we could move on with what were were doing without things being thrown or bad words being said. WHAT A RELIEF to not have people staring and commenting about what a bad child he was or that I needed to discipline him more. THANK YOU again for the puppy visits. I had my happy boy back!! ​I cannot believe the difference I have seen in Justin since we have been fostering the autism service puppies for the last six months! Justin is now more confident in himself. He will speak to people he does not know to tell people what the autism service dogs are for and how much they have helped him. Before fostering the puppies it didn’t matter what I did, he would not speak to ANYONE he did not know. He is developing compassion and empathy. Before fostering, he did not understand that throwing and hitting someone with an object could hurt them. Now, when accidentally stepping on one of the puppies paws, he is saying, “I am so sorry, I am really, sorry”, before having to be reminded that his stepping on the paw hurts etc. Justin’s meltdowns have decreased greatly in length at home. It used to take up to 2 hours to process out of a meltdown. Now, with the puppies, 5-10 minutes and he is done and we are out the door. Shopping used to be a NIGHTMARE. We had 30 minutes from start to finish of a shopping trip before a meltdown would ensue. I didn’t need a clock or a stop watch; I knew from Justin’s behavior how much time I had left. If we needed to go to the store we had to lay out our battle plans ahead of time. Jim had his half of the list, I had mine and the kids and we tried to meet at the registers before the time limit was up and we had a meltdown in public for all to see. Now, that we have the puppies, we have gone shopping for up to two hours plus and NO meltdowns. If he gets uneasy, he sits down with the dog and spends time with him before he melts down. Then we proceed on with what we need to do. We get to do so much more as a family. We have gone back to restaurants, gone to performances of Justin’s sister, and so much more as a family. I cannot say enough wonderful things about Terri Wible and Paws4Autism. Thank you for giving me my family back!! !